A heartfelt thank you to the New Zealand and Australia Ambassadors to the Netherlands Mr George Troup and Mr Neil Mules AO for their invitation and to all involved in making it possible to be there and experience a moving tribute on ANZAC Day in The Netherlands. 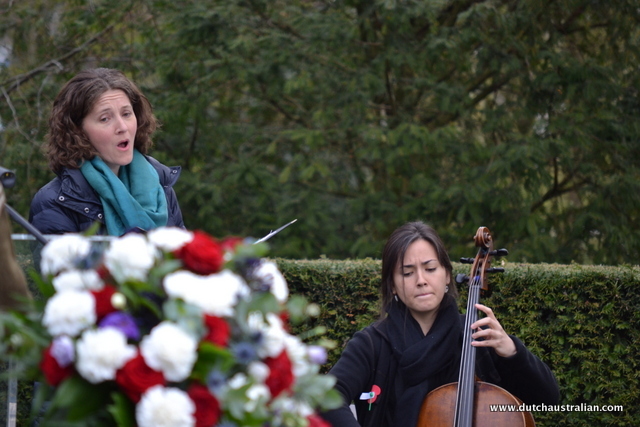 Held at the Westduin Cemetery, Ockenburgstraat, Den Haag on 25th March, the 2013 ANZAC Day The Hague Order of Service opened with a beautifully haunting Maori Karanga by Ms Kylie Martin, calling the guests to the Commonwealth Plot. This was followed by a welcome and introduction to the service by The Reverend Andrew Gready (Church of St. John and St. Philip) who led a hymn, Eternal Father, Strong to Save. Lucas Hay from the Westlake Boys High School read from Isaiah, Chapter 40, Verses 28 to 31. 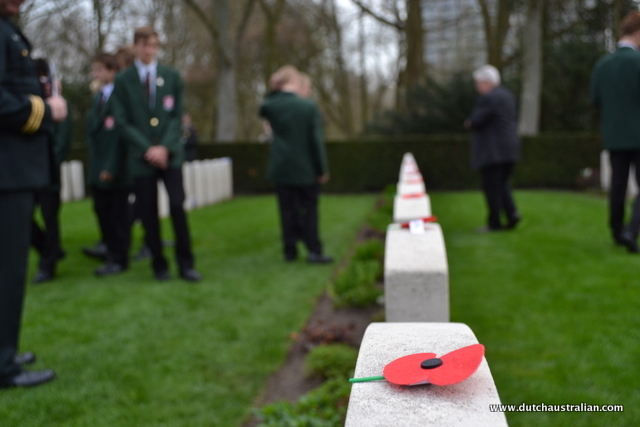 He and fellow students were visiting The Netherlands from Auckland for a hockey tour and it was lovely to see them lay their poppy’s on the headstones after the ceremony, sadly bearing names of men who were not much older at the time they lost their lives. His Excellency Mr Neil Mules AO, Ambassador of Australia followed with a second reading, His Excellency Mr George Troup, Ambassador of New Zealand gave an address and we were led in prayers by Father Sjaak de Boer (Church of our Saviour). The voices of the talented choir were a pleasure to hear for the hymn as well as again later for the national anthems of The Netherlands, New Zealand and Australia. A reading by Mr Bleda Kacar, Counsellor, Embassy of the Republic of Turkey of the words of Mustafa Kemal Ataturk from 1934 is something I’ve heard before but which I always find moving. Many beautiful wreaths were laid from a number of countries and organisations and the Peace Song, by New Zealand composer Dorothy Buchanan (performed by soprano Lauren Armishaw and accompanied by cellist Caroline Kang) would have been delightful in any setting but amongst the ANZAC atmosphere of solemn reverence was divine! …followed by The Last Post. We were fortunate with the weather, it was sunny and quite clear. 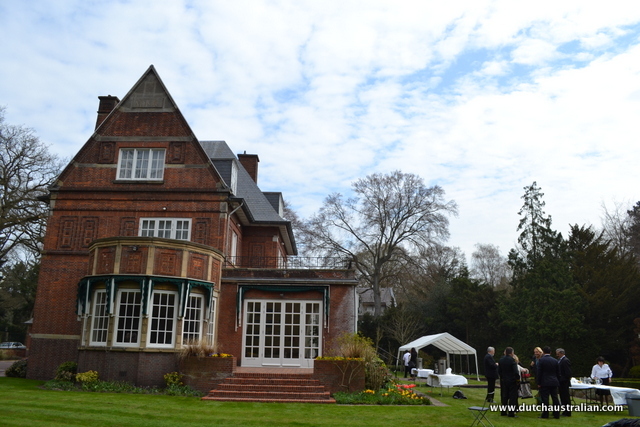 After the ceremony a breakfast was hosted at the residence of the New Zealand Ambassador and it was an elegant setting in Wassenar, with the garden even graced by spring tulips! 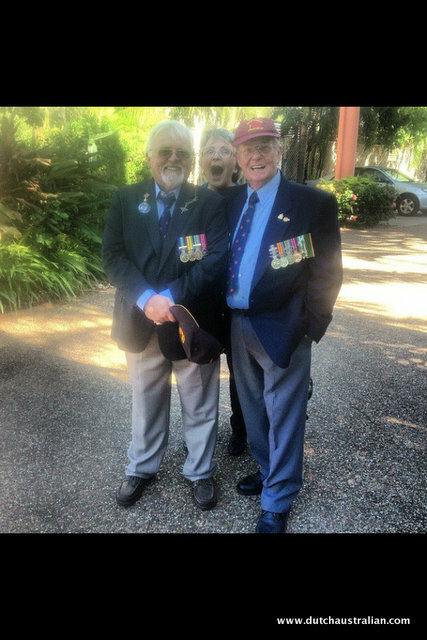 In 2006 and 2007 I attended the ANZAC Day ceremonies while living in The Netherlands but we then relocated (back) to Australia and I was proud to watch my dad march in ANZAC Day parades in Brisbane (mum and dad met in the Royal Australian Navy before I was born). I missed him this year marching in Bundaberg but my brother sent me a photo on his iphone, I love how technology lets us be “closer”. Before I went to bed on Wednesday night, I also saw posts on Facebook from my friends in Australia attending dawn services, and watched the dawn service in Currumbin, Gold Coast, Australia online (live streamed by Sunrise). 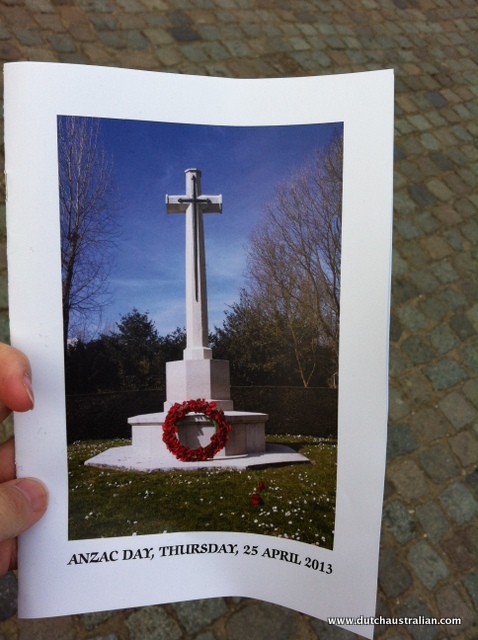 So I felt I was able to almost commemorate ANZAC day in both Australia & The Netherlands! So which-ever country you are in on 25th April 2014, if you weren’t already planning it, I’d highly recommend seeking out and attending an ANZAC Day Service. 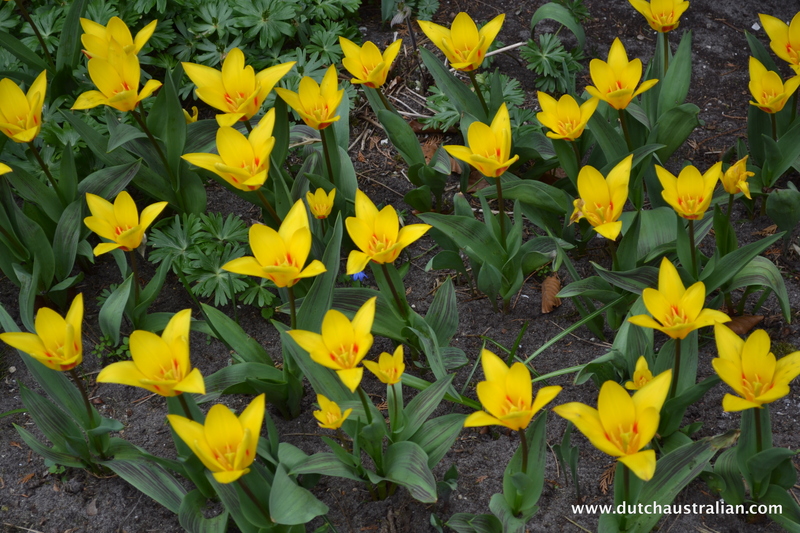 I believe it is held every year in The Netherlands and there are numerous services all around Australia. If you’d like to view all the photos I took at the 2013 ANZAC Day Ceremony The Hague, The Netherlands, you can visit my Zestee Photography site.